If you ask me what you are to do in order to be perfect, I say, first – Do not lie in bed beyond the due time of rising; give your first thoughts to God; make a good visit to the Blessed Sacrament; say the Angelus devoutly; eat and drink to God’s glory; say the Rosary well; be recollected; keep out bad thoughts; make your evening meditation well; examine yourself daily; go to bed in good time, and you are already perfect. St. Ignatius of Loyola would often close his letters with the prayer that he and his correspondent would have the grace to know God’s will and the strength to carry it out. He is by no means alone in this prayer. I suspect that most Christians often petition God for guidance about what to do in concrete situations. And yet, it is easy to fall into the trap of believing that discovering God’s will requires advanced spiritual experience or that it is the domain of mystical gurus. 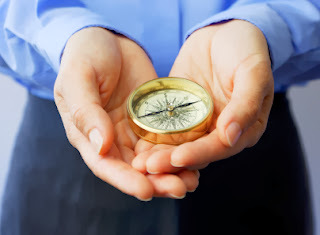 This can lead to a dilemma: we feel that we ought to seek for God’s will in our lives—whether it be for big, life decisions or small, everyday decisions—but at the same time we can feel that we do not have the spiritual know-how to get there. As a consequence, we either avoid commitment or become complacent. How am I to know the will of God? Even where there is no other more explicit claim on my obedience, such as a legitimate command, the very nature of each situation usually bears written into itself some indication of God’s will. For whatever is demanded by truth, by justice, by mercy, or by love must surely be taken to be willed by God. To consent to His will is, then, to consent to be true, or to speak truth, or at least to seek it. In other words, Merton suggests that the best place to start is with some good, solid common sense. Look for the truth of the matter and be authentic. Most situations, as he says, have an inner logic that point to the best solution. To use a classical category, we need to exercise the virtue of prudence, which is nothing other than good practical reason. What does the situation demand, practically speaking? What will promote truth, justice, mercy and love in the particular situation I am facing? What is called for by the Ten Commandments, the eight Beatitudes and the two Great Commandments? Figure that out, and you cannot but have arrived at God’s will, for these are what he desires. “Whoever has my commands and keeps them”, Jesus said, “is the one who loves me” (Jn. 14:21). There are two comments that should be added to this. First, discerning God’s will, even when it is eminently practical, must be prayerful. The best way to gain the virtue of prudence is through a solid relationship with the Lord, because, after all, God himself is the source of truth and light. It is through prayer that we gain contact with the Source of reality, and hence with the reality itself that we seek to know intimately through prudence. Good decisions made in daily life will be fed by our fidelity to prayer. Second, Merton wisely includes the adverb “usually” in his advice. Most of the time, knowing God’s will is a simple matter of prudence, but there are obviously some difficult situations where God’s will really is obscure. In situations like these, we need to spend more time in prayer and often to seek the guidance of a spiritual guide—a priest, a religious, a parent or a trusted Christian friend. In some situations, we may not get clear answers even when we try our best and seek out the best advice. But even in difficult situations, the virtue of prudence is key, for it is what helps us to judge when a particular decision requires outside consultation.